Evides Waterbedrijf is a water company that supplies reliable and tasty drinking water to 2.5 million clients in its home market, being the southern part of the province of Zuid-Holland, in the entire province of Zeeland, and the Brabantse Wal. Drinking water is prepared from water sourced 80% from the river Maas, 16% from ground water, and 4% from dune water. We are the second-largest water company in The Netherlands based on supply connections, supply volumes and revenue. Water for industrial clients is extracted 47 % from the Brielse Meer, 40% from the river Maas, 7% from the river Elbe, and 6 % from Belgian polder water. 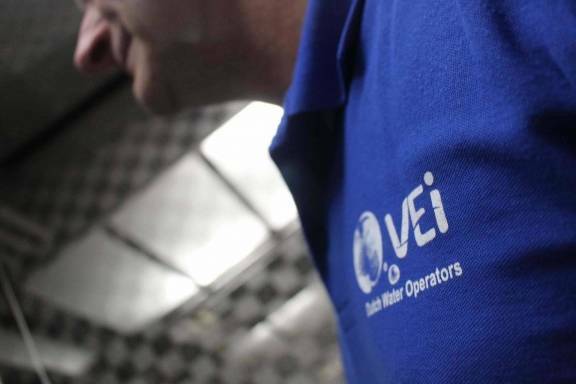 We are one of the strongest players in northwestern Europe in the market for water-on-demand solutions for industrial applications. Evides also treats waste water from Amsterdam Schiphol Airport and industrial complexes in Vlissingen (Sloe) and in Delfzijl.